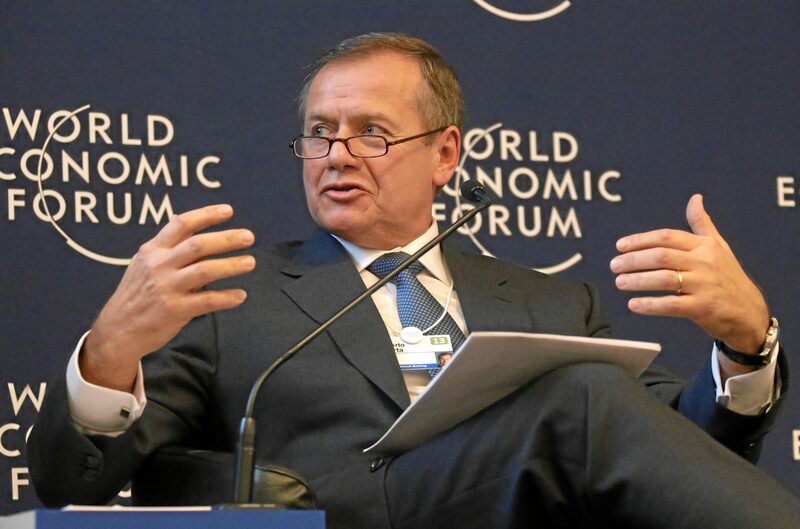 Roberto Quarta at the World Economic Forum 2013. Image courtesy of the WEF. Shareholder advisory service Glass Lewis on May 9 recommended that WPP investors oppose the re-election of Chairman Roberto Quarta, who took on extra responsibilities after long-time Chief Executive Martin Sorrell left the ad group. Sorrell quit on April 14 after an allegation of personal misconduct, which he denied. WPP said that Sorrell would be treated as having retired. That means he will receive share-based compensation in line with the group’s compensation plan, which will vest over the next five years depending on whether the group hits performance targets. WPP’s annual shareholder meeting is scheduled for June 13. WPP shares were trading at 13.51 pounds as of 0830 GMT on May 23, up 22 percent since April 16.